TAG Heuer’s first smartwatch, the Connected, is official and available for purchase at $1,500 both online and in select boutiques. For days to come, I’m sure people will debate whether or not that price is either ridiculous (in many ways it is) or makes some sense (it is a product coming from a luxury Swiss watchmaker), but as those conversations happen, you should know about the somewhat-intriguing trade in program that TAG Heuer is doing with this watch. You see, TAG Heuer understands that in a couple of years (2 to be exact), this smartwatch will be outdated. There is no getting around that fact. Technology changes quickly and TAG is well aware of that. So, with that in mind, TAG Heuer is giving Connected owners a chance to swap out their watch at the end of its 2-year warranty period for a mechanical watch (TAG Carrera to be exact), assuming they are interested and care to pay an additional $1,500. I’m sure you have done the simple math there and realized that the total investment is $3,000 when all is said and done. Is that worth it? Eh, tough to say. On one hand, you have to invest $1,500 in a smartwatch that you may or may not get sick of within a 2-year period. Then, at the end of that 2-year period, you get to decide if you like TAG Heuer’s watches enough to fork out another $1,500 to get rid of your dated smartwatch (because you will trade it in) and into a mechanical, Carrera. For reference, a pretty standard TAG Carrera GMT with automatic movement and date, runs about $3,000. TAG hasn’t said what watch they’ll let you upgrade to, though. EDIT: See update below. If you are into luxury watches and like TAG Heuer, then this could be something to consider. But again, you have to be into $3,000 watches made by TAG Heuer. Update: We finally got a hold of the press release for the TAG Heuer Connected and have new info on the watch you will be buying if you choose the trade-up route. According to the press release, TAG Heuer has created a Swiss Made Carrera with a “similar design” to the Connected that is also made of grade 2 titanium and has been “exclusively developed and reserved for owners of connected watches.” This new watch is priced at $1,500, hence the additional $1,500 you will fork out at the end of your 2-year warranty period. 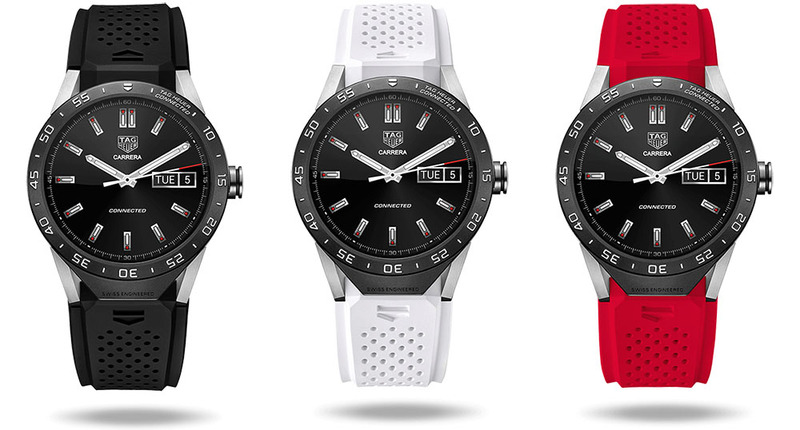 So there you have it, TAG Heuer is doing its best to get you into their watch ecosystem by offering up the Connected, but will then let you buy a certain exclusive mechanical Carrera in a couple of years.